With the first half of the season opening two-game home-and home series with the Connecticut Tigers over the Spinners head to Norwich with a record of 1-1. Opening night rolled around with excitement throughout the park, as the Spinners set a new opening day record with 5,249 tickets sold. The game itself did not disappoint as the Spinners came out victorious 2-1. 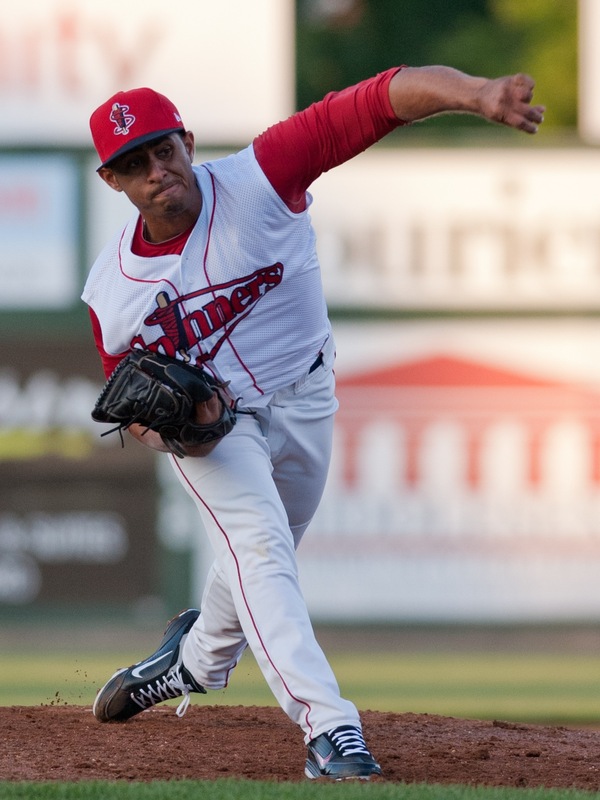 Francisco Taveras struck out nine batters in his Spinners debut, one shy of the franchise record set by Phil Dumatrait in 2001. Taveras along with William Cuevas and Yunior Ortega spread out four hits and a walk with the lone Tigers run coming in the third inning on a throwing error on what should have been an inning ending ground ball. The Spinners trio held Tigers hitters hitless in six at-bats with runners in scoring position.Offensively, the Spinners were quiet until the seventh inning. With one out Mookie Betts got things off with a single and a stolen base. He scored the tying run on a two-out double by Oscar Perez. Perez would go on to score the go-ahead run on a single by Matt Gedman. Dreily Guererro had a 2-for-4 day after being sent down from a short stint in Greenville. Nathan Minnich had a rough professional debut going 0-for-3 with three punch outs and a hit-by-pitch. Starting his third season with the Spinners Seth Schwindenhammer also had a disappointing day going 0-for-3 with two strikeouts. 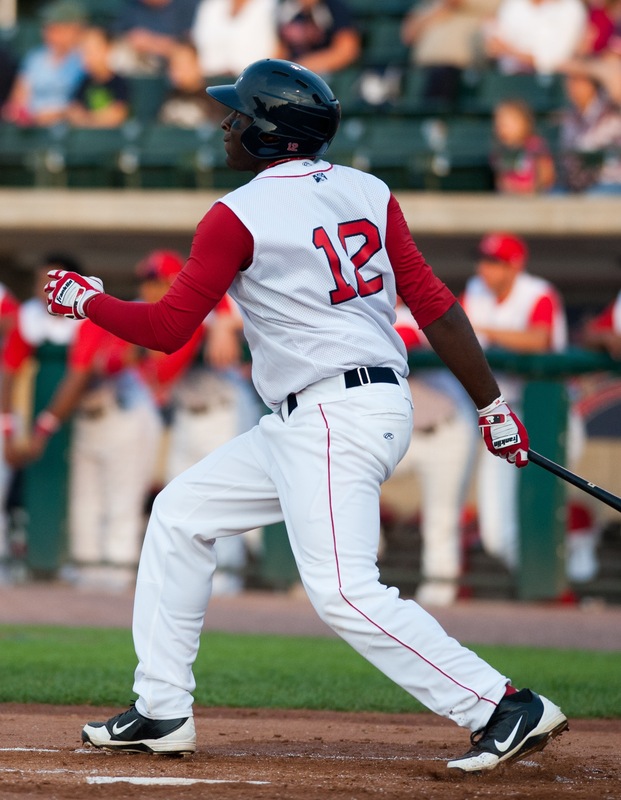 The Spinners fell to the Connecticut Tigers in the second game of their young season on Tuesday by a score of 11 to 4. Zachary Good lived up to his name for the home squad throwing five innings allowing just one run, while striking out three. However Good’s effort was all for nothing when the Tigers put up six runs in the sixth inning the Spinners relievers. In his first appearance since 2010, Leandro Marin had a dismal outing allowing all five batters he faced to reach base. In his first professional appearance Kyle Kraus was able to clean up Marin’s mess allowing only one run and while striking out two. Kendrick Perkins got the crowd pumped early when he blasted the first pitch of his first at-bat over the right-center field fence. Minnich bounced back after his first game woes, connecting for his first professional hit. However, there wasn’t a lot off action for the Spinners until the ninth inning when they put up two runs. The Spinners will send Jacob Dahlstrand to the hill to attempt to get the Spinners back over the five hundred mark. First pitch in Norwich is scheduled for 7:05.